Previously, the option to Block a Follower was part of the Options menu, in the Followers gadget. 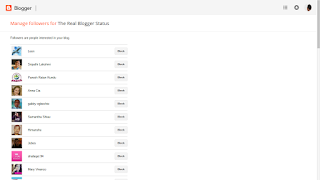 To ensure that only a blog administrator was able to Block a Follower - or do various other blog to viewer functions - the Block option was part of a complex wizard, accessed by a blog administrator. This required the ability to authenticate a viewer - separately from the Blogger / Google login. This, in turn, made the Followers gadget complicated - and lead to occasional malfunctions. To simplify the Followers gadget, there is no need to login to the gadget, any more. 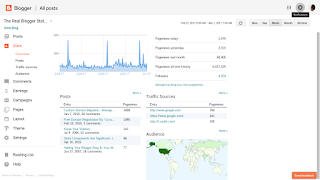 Now, the ability to Block unwanted Followers is part of a blog administrator Stats page. On the Stats Overview page, look for the Followers count. The number which displays the Followers count is now a link. Clicking on the number, one can access the "Manage followers" wizard. This blog has 4,954 Followers. Click on "4,954" (right now). 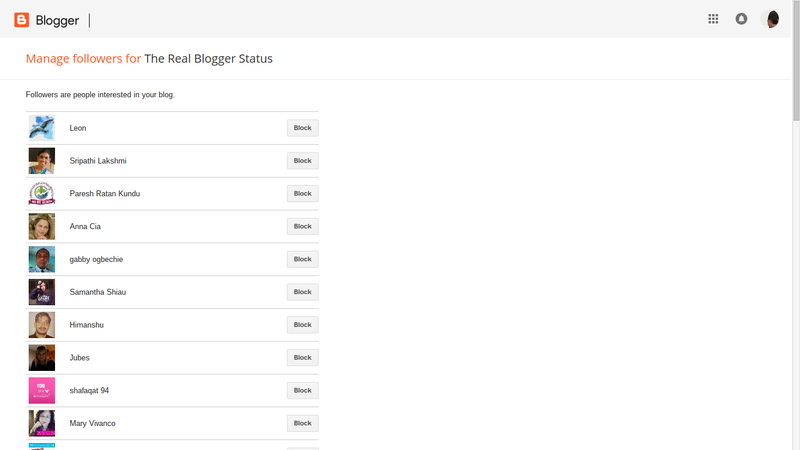 And there is the "Manage followers for The Real Blogger Status" wizard. Each Follower now has a "Block" button, plainly visible. 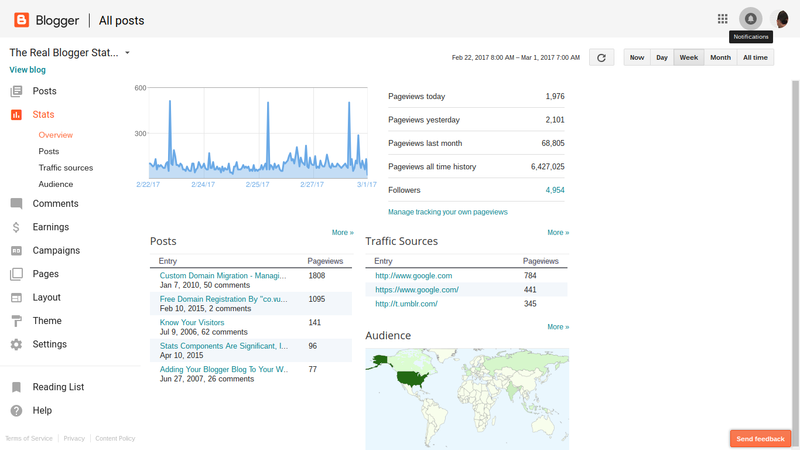 Since only a blog administrator has access to the Stats dashboard page, there is no need for a separate Followers login. Just click on the Followers count, on the Overview page. And the Followers gadget has only one option - the button, immediately visible to each blog viewer. Follow (if not currently Following). The Follow / Unfollow button applies to administrators, authors, and readers alike. Now, there is no need to identify a person as related to a blog - except as whether this person is currently Following the blog. 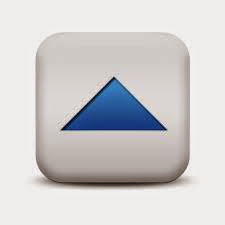 Simplicity - for blog administrators, blog viewers, and Blogger developers. When the #Blogger Followers gadget was re written in 2016, the "Options" menu - and the need to login to Following separately - was removed from the gadget. The ability to Block selected Followers, previously part of the Options wizard, is now part of the Stats dashboard page.